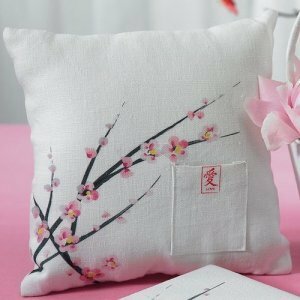 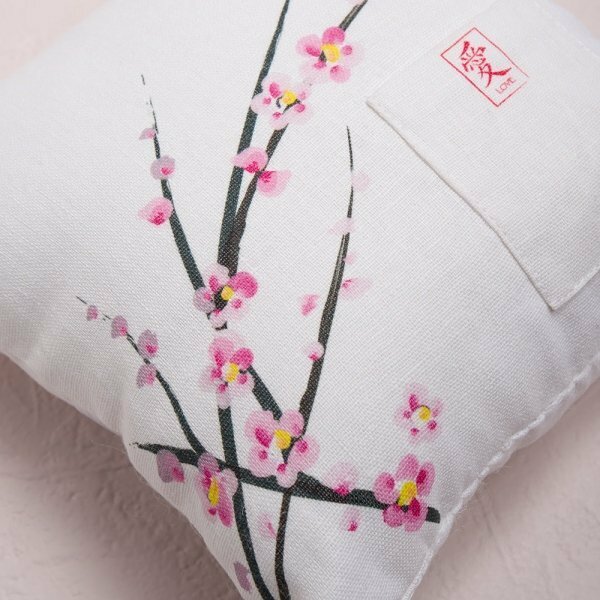 Part of our Cherry Blossom wedding collection, this white linen covered ring pillow has been silk screened with a romantic and delicate pattern of cherry blossoms and braches. 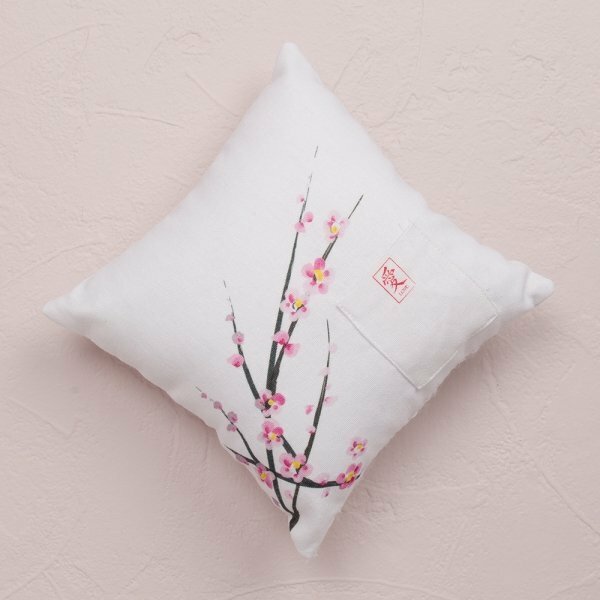 The 8" square pillow has a pocket for ring storage that features a hand sewn Asian symbol for love. 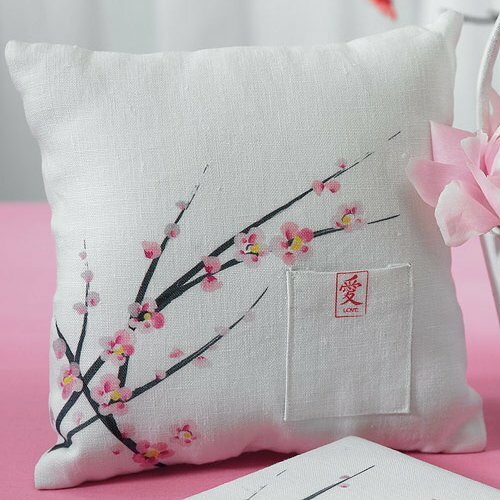 Be sure to check out the matching flower girl basket.